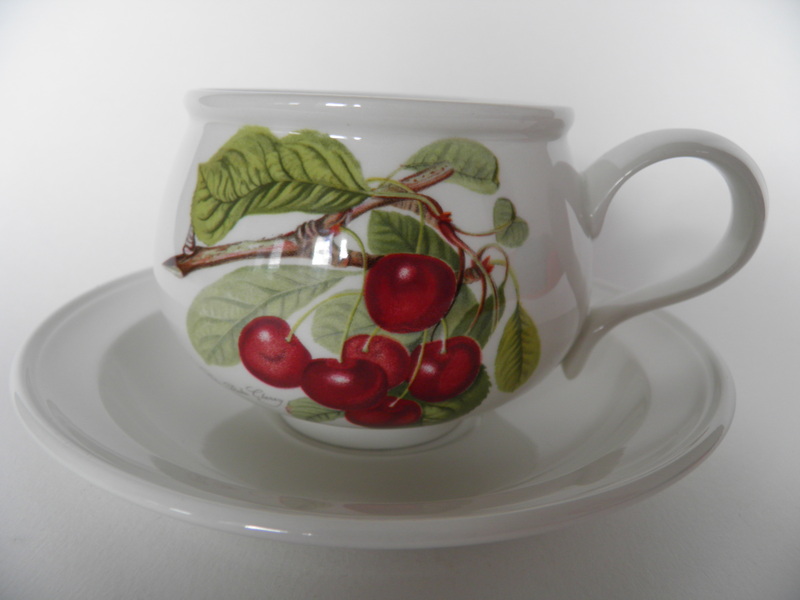 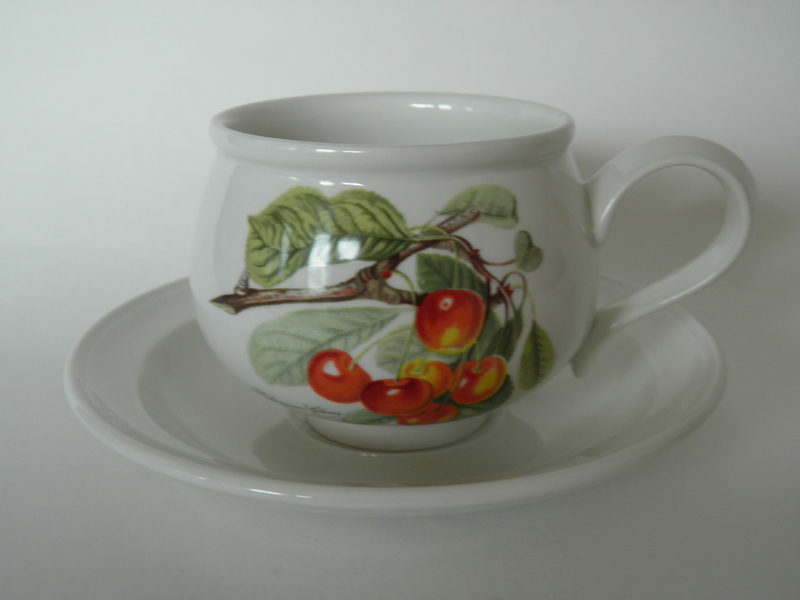 Pomona breakfast cup & saucer with cherry decoration, Portmeirion. 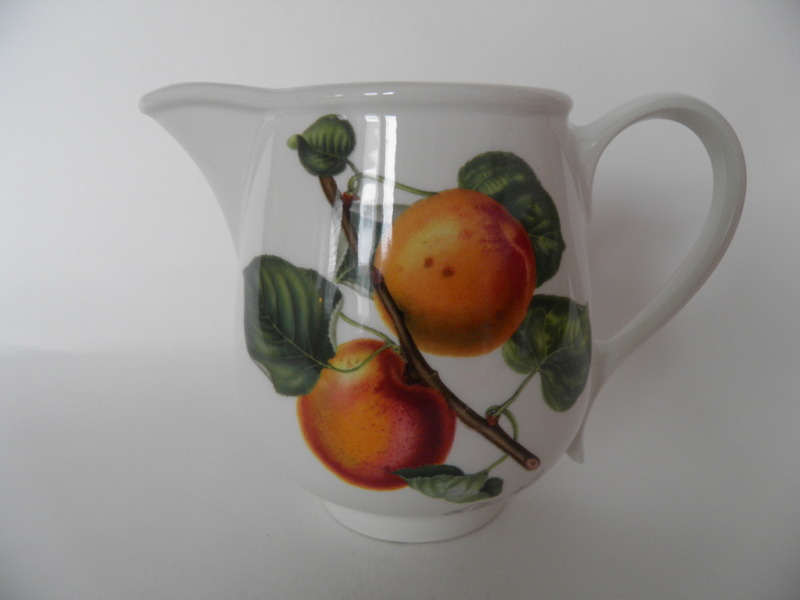 Mint creamer with apricot model by Portmeirion, England. 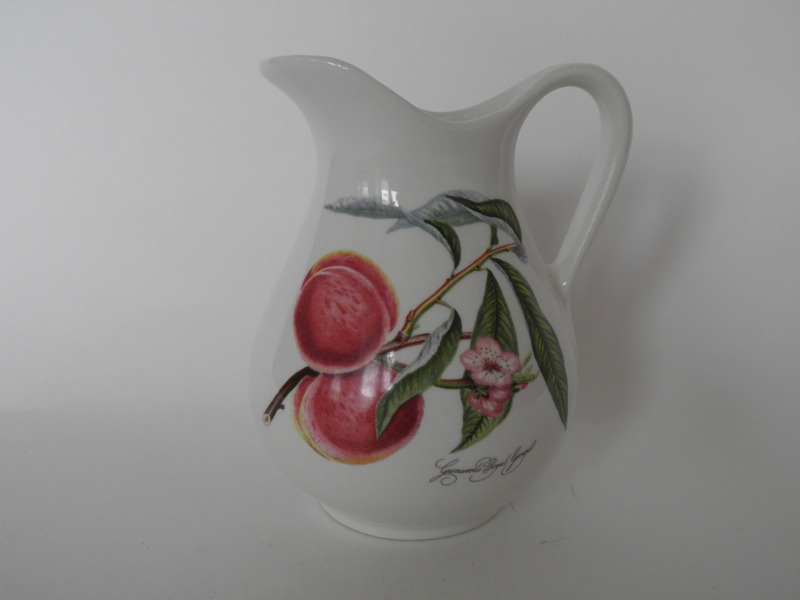 Pomona creamer with peach decoration, Portmeirion. 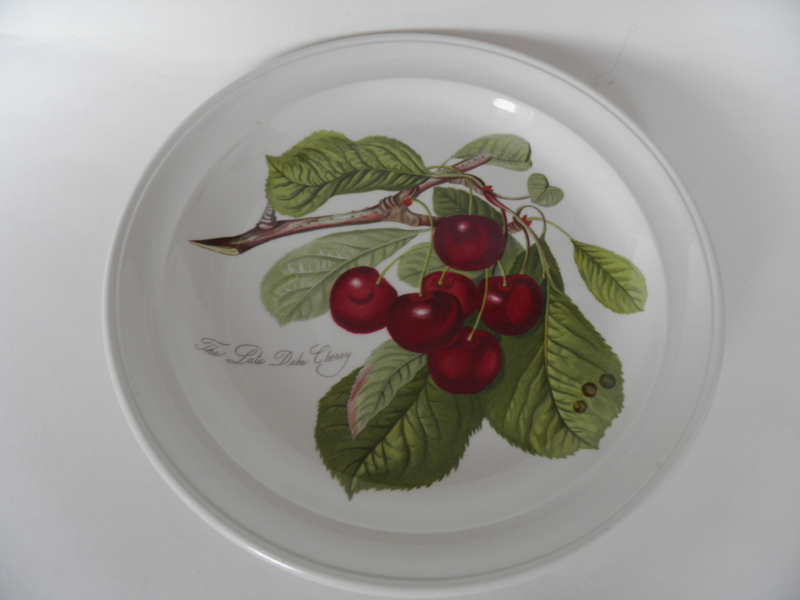 Small Pomona deep plate dark cherry, Portmeirion. 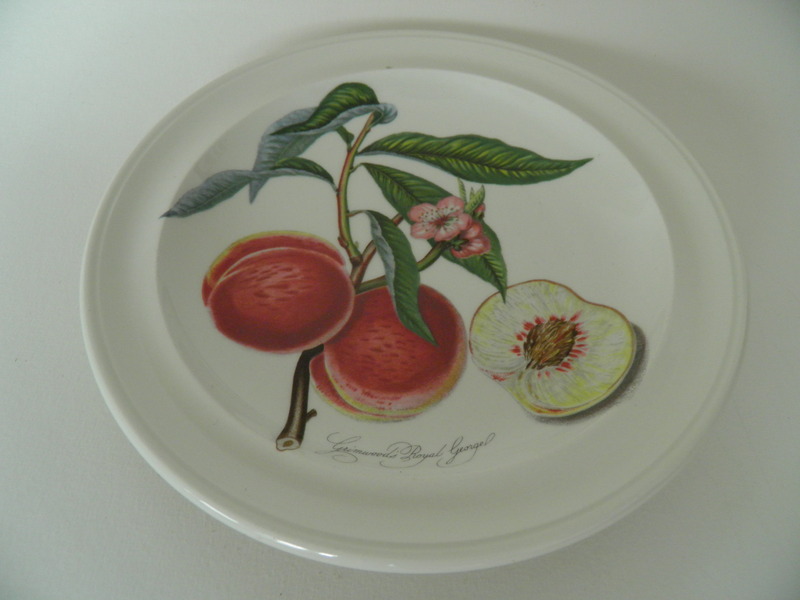 Small Pomona peach deep plate, Portmeirion. 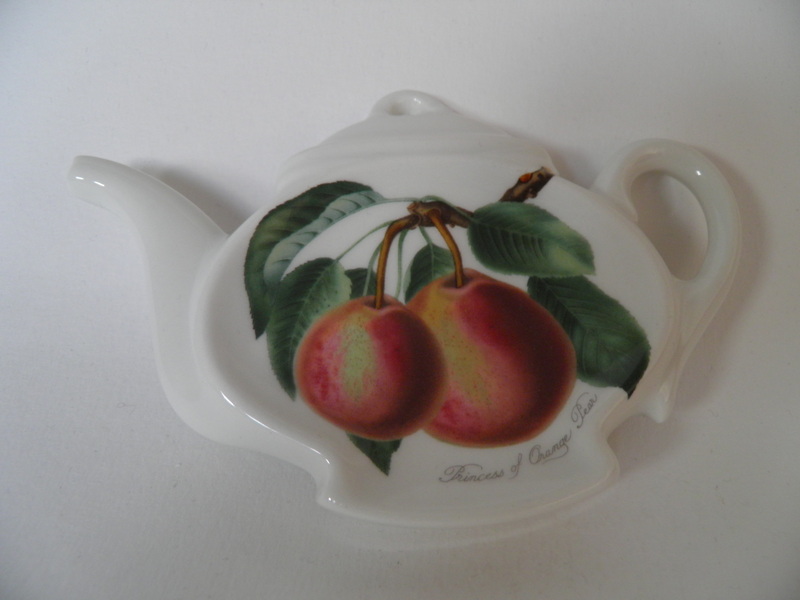 Small Pomona deep plate pearl, Portmeirion. 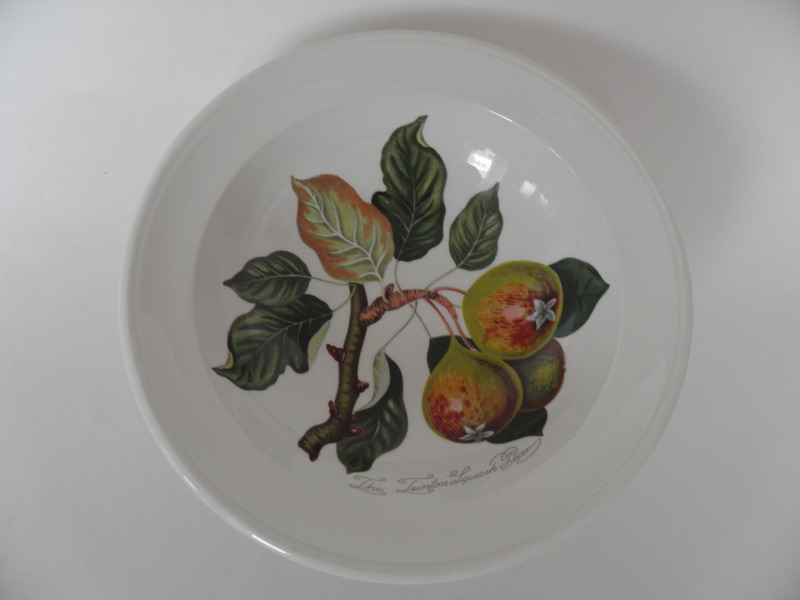 Small Pomona dessert bowl, Portmeirion. 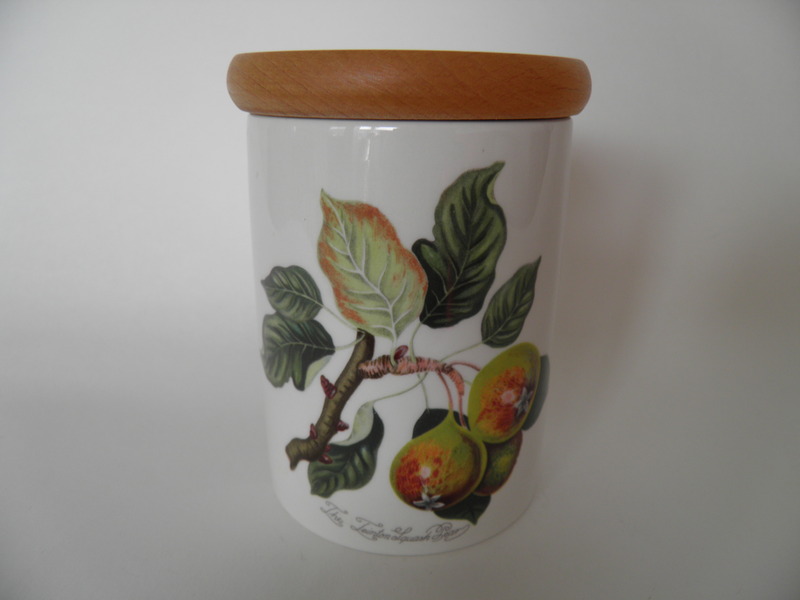 Pomona jar with wooden lid, Portmeirion. 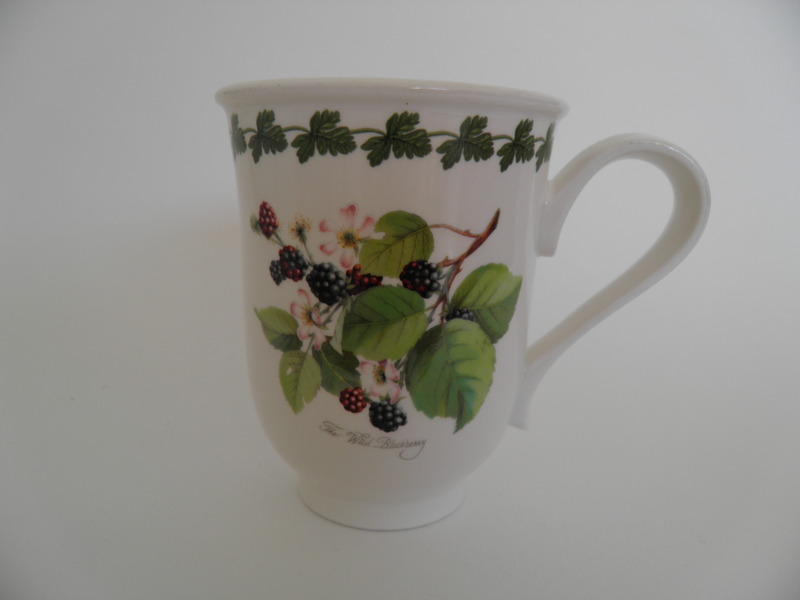 Pomona mug with blackberry decoration, Portmeirion. 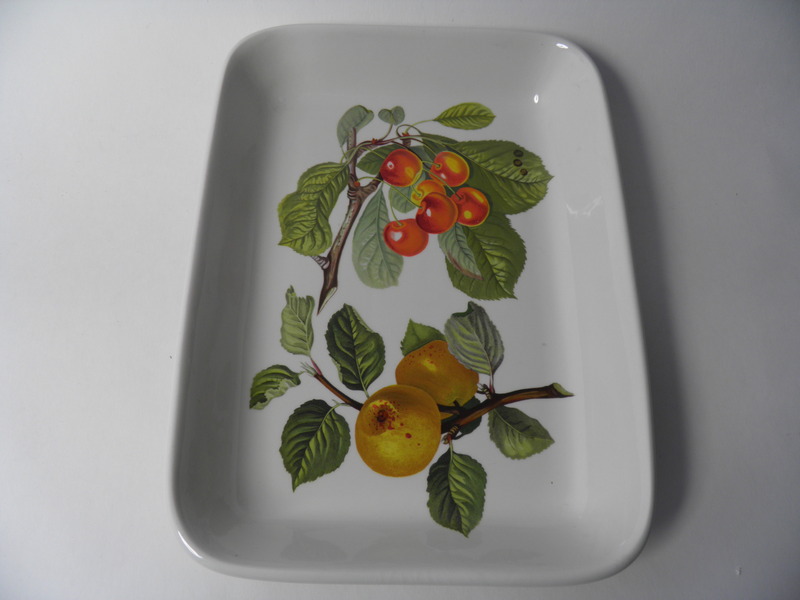 Oven tray by Pomona -series, Portmeirion. 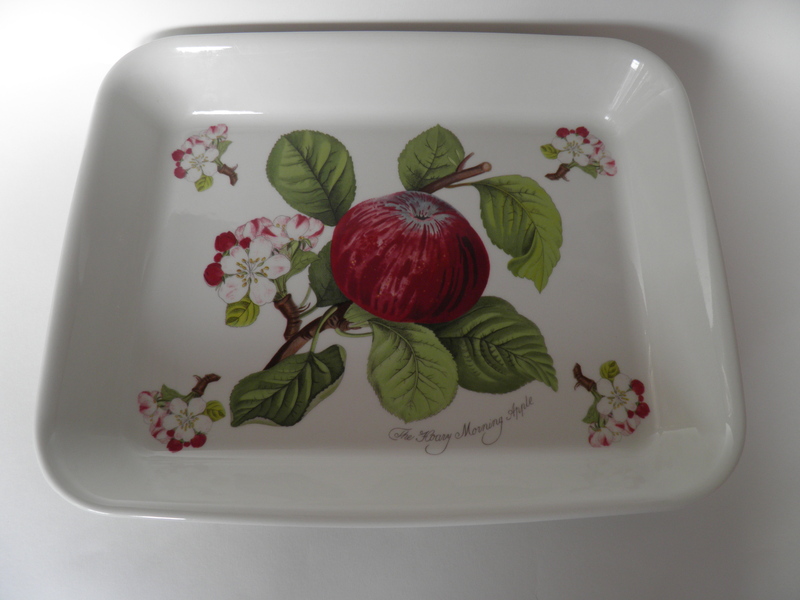 Pomona oven ware bowl apple, Portmeirion. 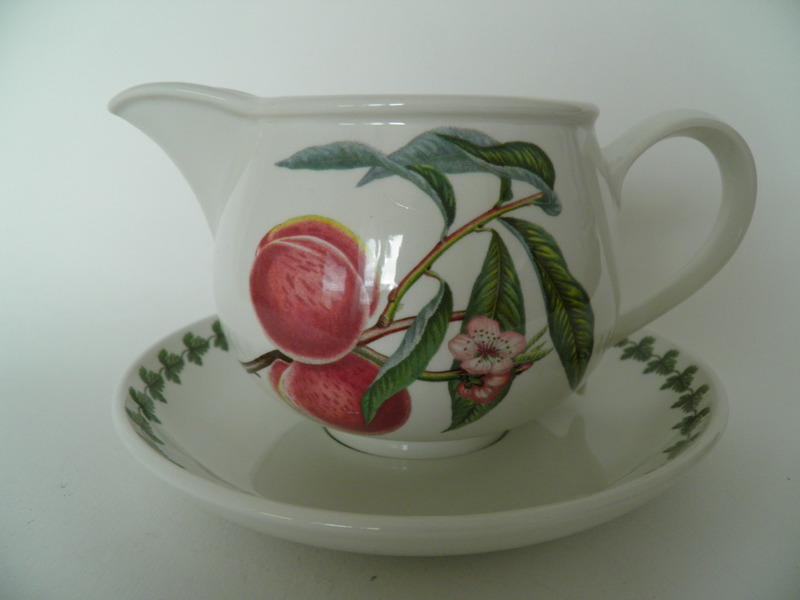 Pomona sauce pitcher & saucer with peach decoration, Portmeirion. 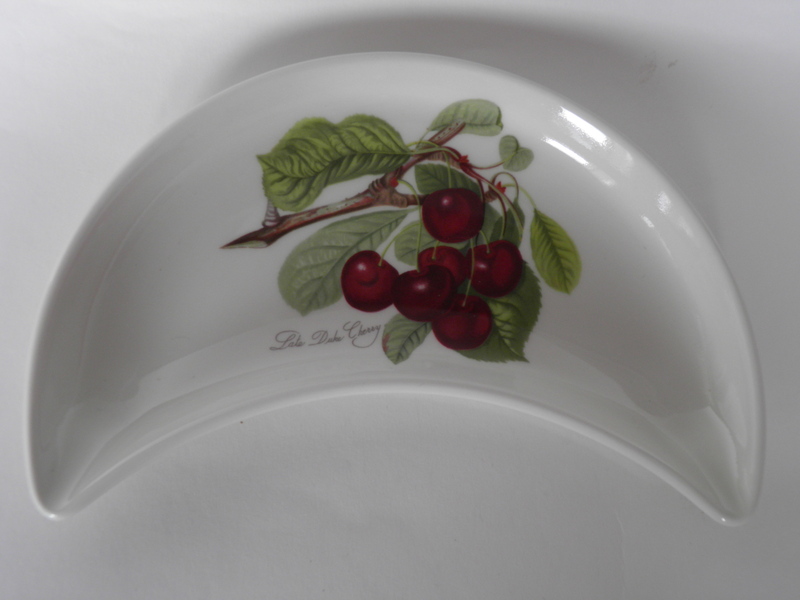 Half moon Pomona serving plate dark cherry, Portmeirion. 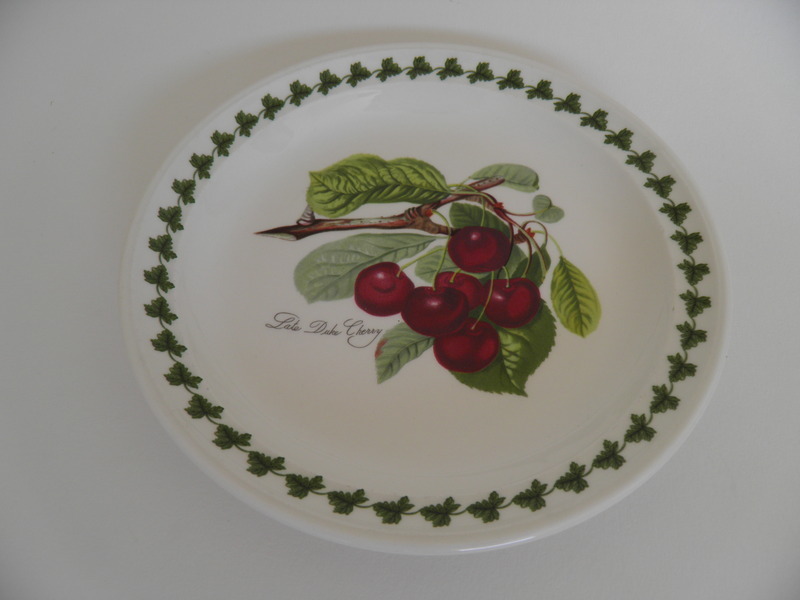 Pomona side plate with dark cherry decoration, Portmeirion. 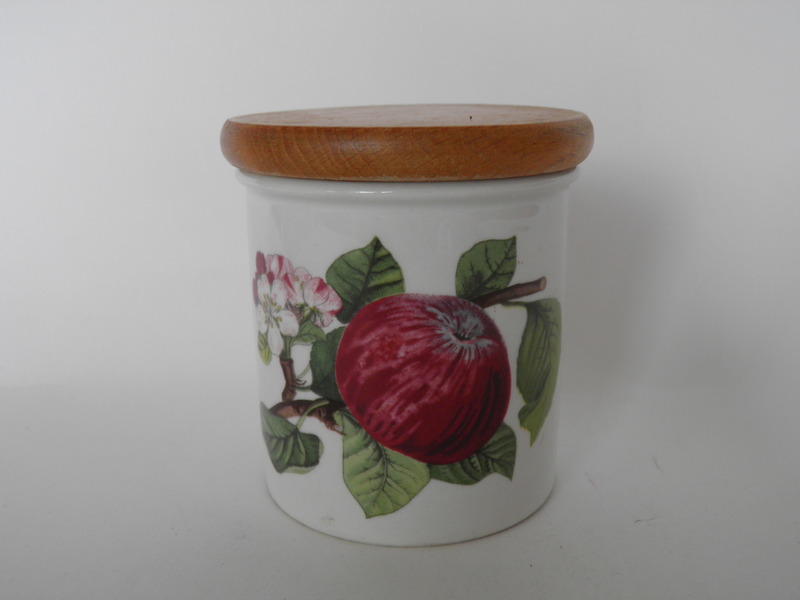 Pomona spice jar with apple decoration, Portmeirion. 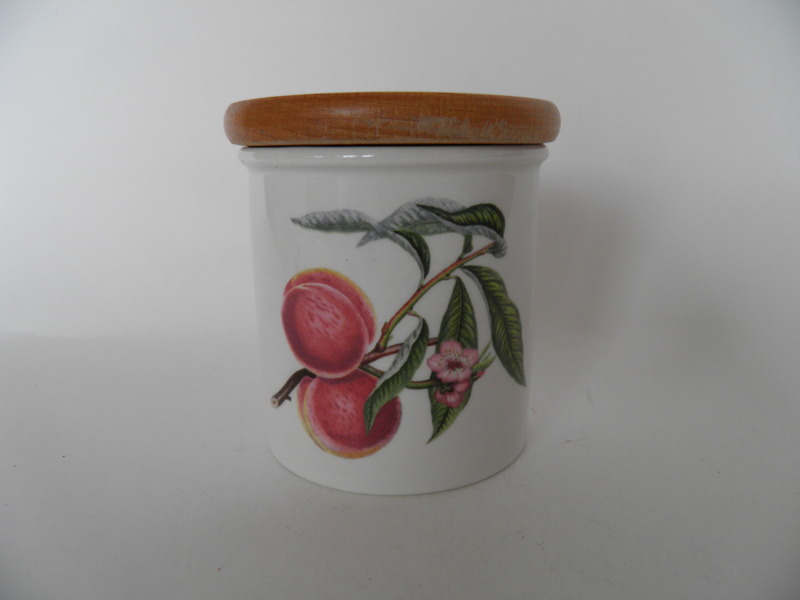 Pomona spice jar with peach decoration, Portmeirion. 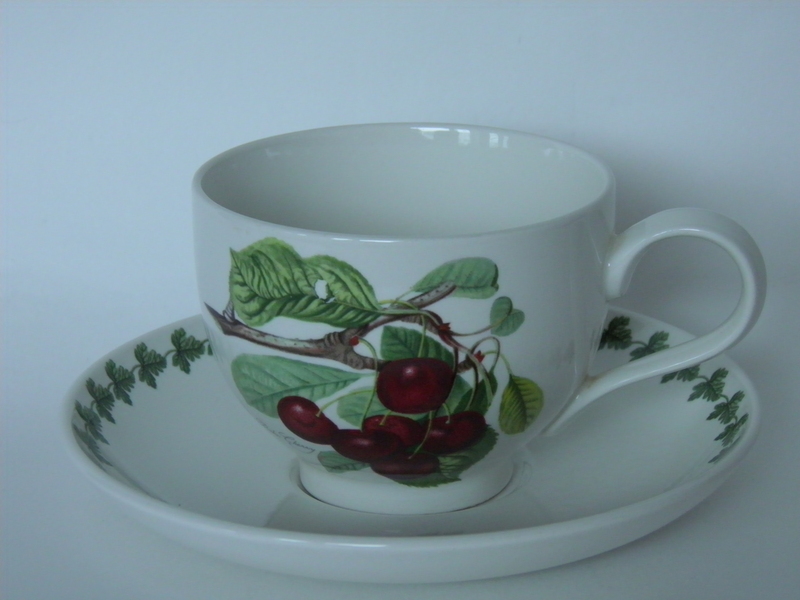 Pomona tea cup & saucer cherry, Portmeirion. 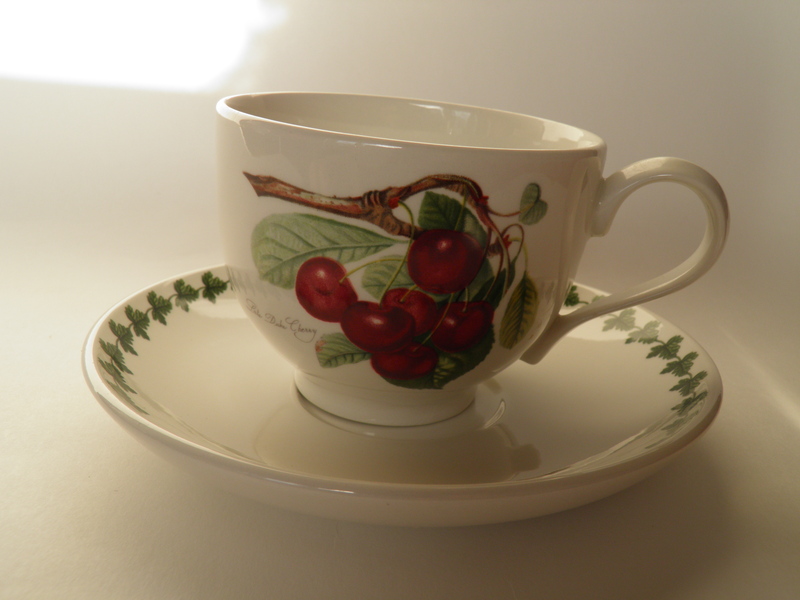 Pomona tea cup & saucer dark cherry, Portmeirion. 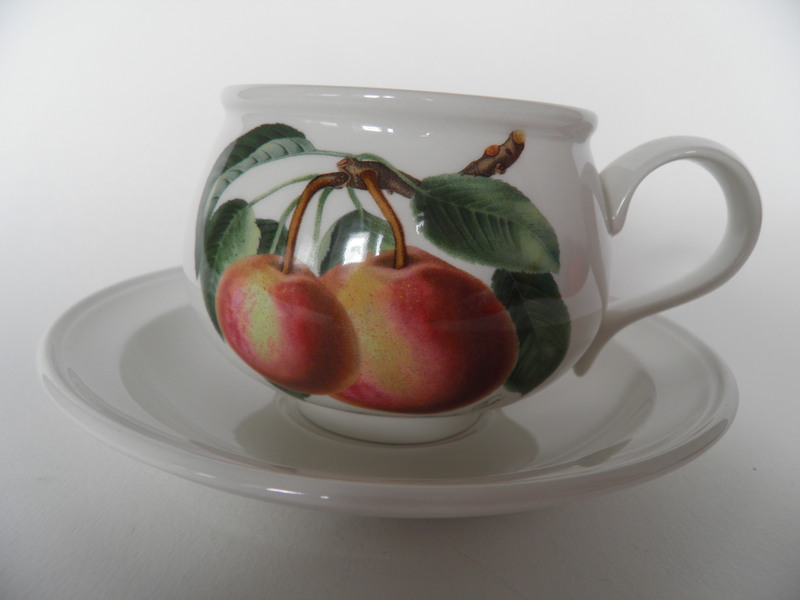 Pomona tea cup & saucer pearl, Portmeirion. 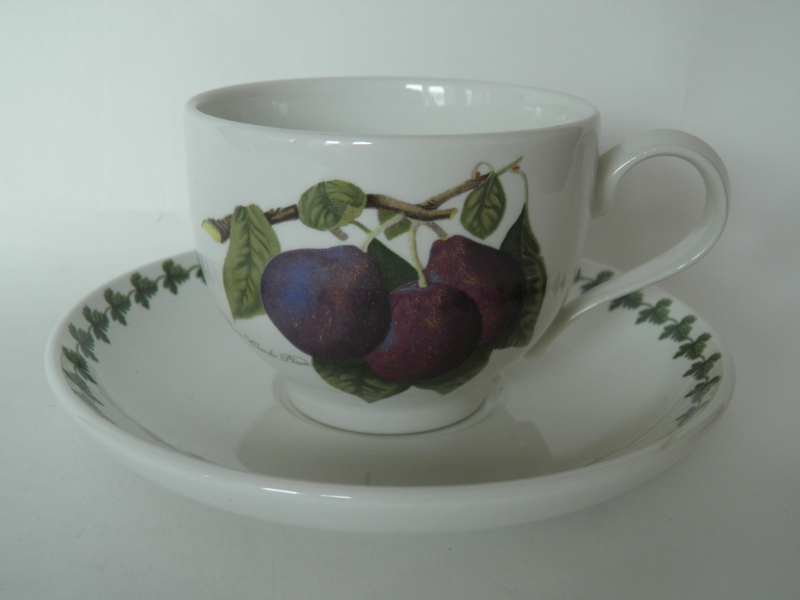 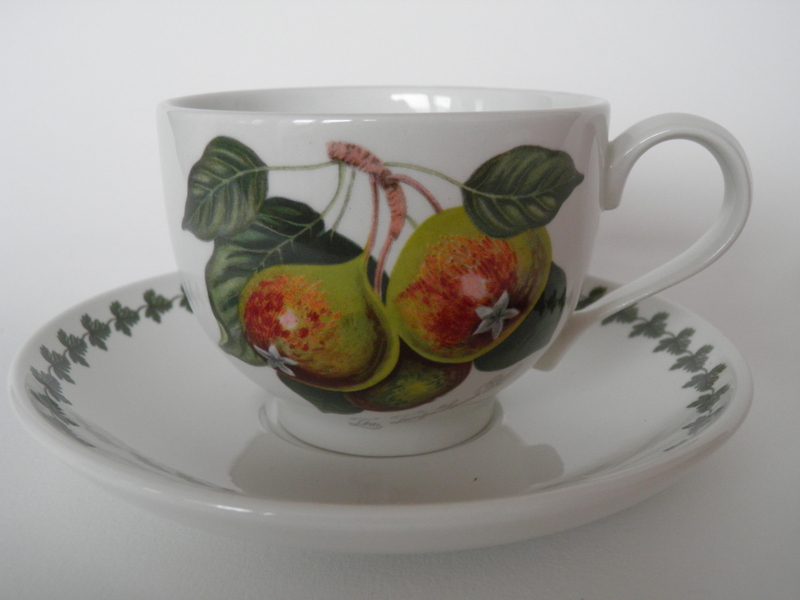 Pomona tea cup & saucer plum, Portmeirion. 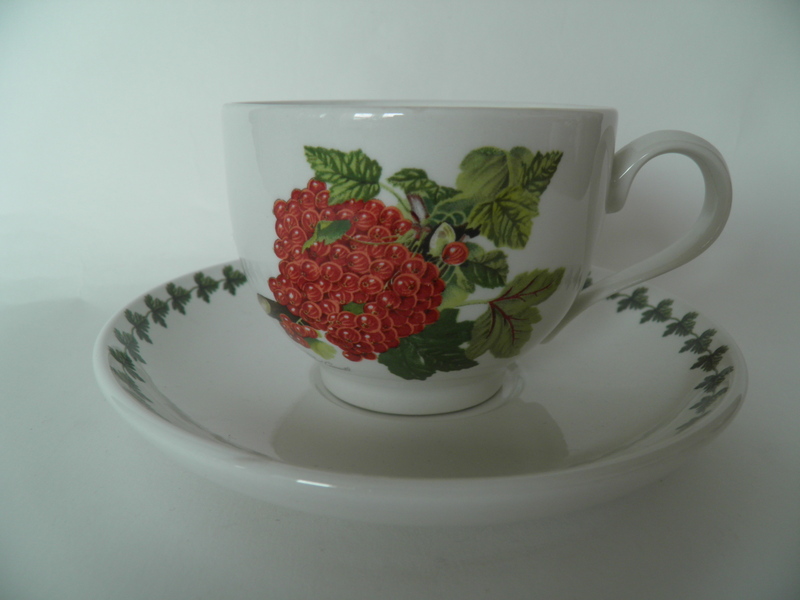 Pomona tea cup & saucer red currant, Portmeirion. 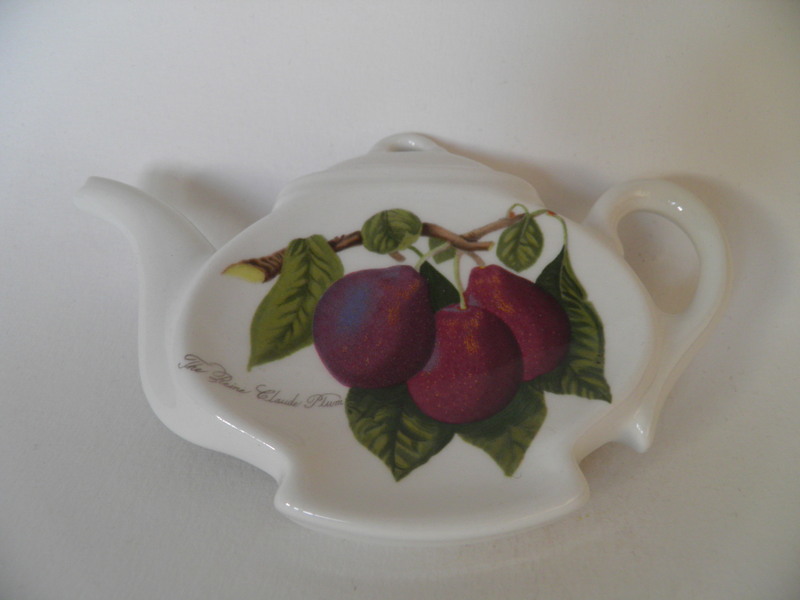 Pomona teabag plate dark plum, Portmeirion. 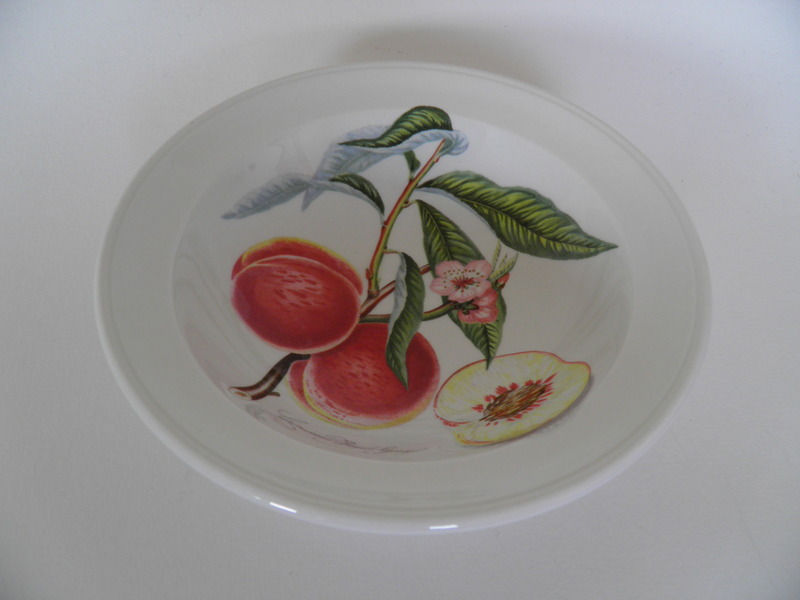 Pomona teabag plate pearl, Portmeirion.